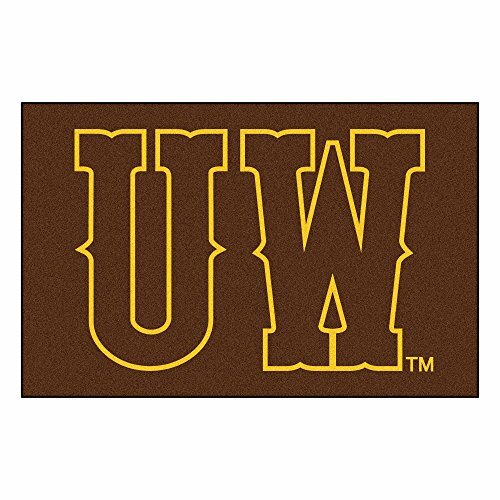 Decorate with this eye-catching University of Wyoming Logo Area Rug! Made in the USA, this rug is made of 100% nylon carpet and has a non-skid recycled vinyl backing. This Cowboys rug is officially licensed and ChromoJet printed in true University of Wyoming team colors. Use the smaller Starter or All-Star Rug in your bedroom, kitchen, bathroom or office. 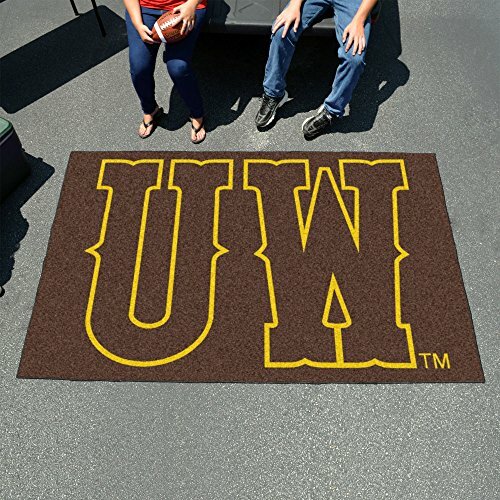 The Tailgater and Ulti-Mat Rugs are larger and perfect for taking outside for tailgating, driveway fun or having as a focal point in a large game room or man cave. Size choices will let you use this simple yet bold statement rug anywhere you can think of! 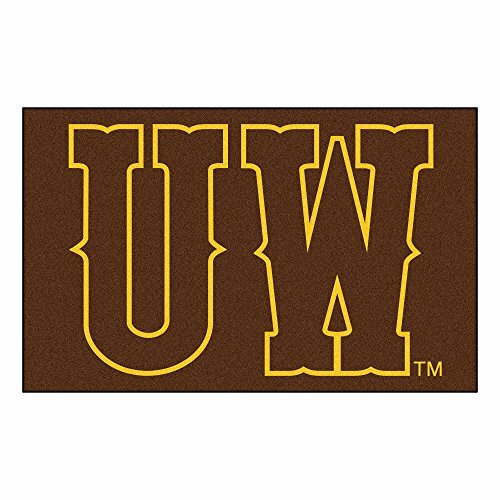 Show your UW Cowboys team pride where ever you choose! 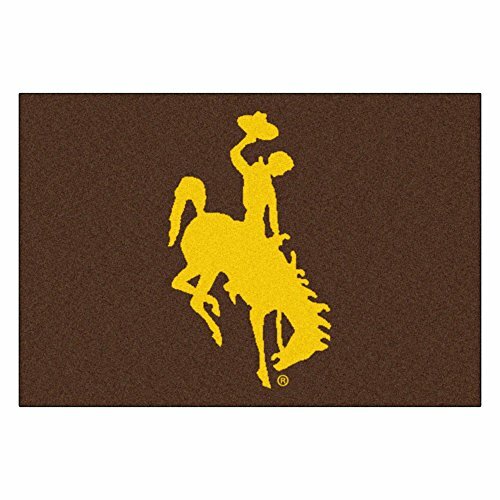 Show your team pride and add style to the tailgating party with this large rug from Sports Licensing Solutions. This US made product has a nylon face, with chromojet printing to ensure color fastness with non-skid recycled backing. 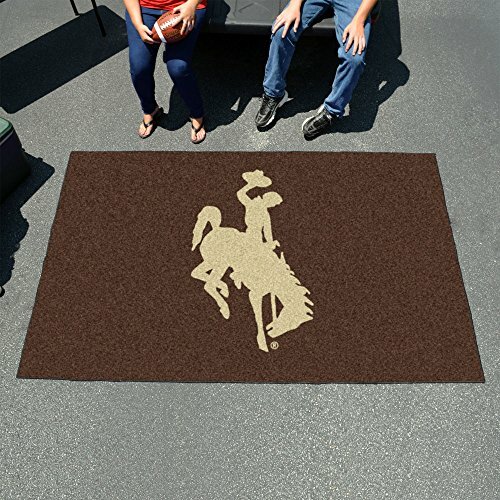 A must for tailgating or any team related function.